Jewish education and the development of Jewish identity are a lifelong process. 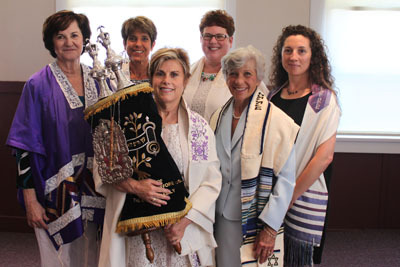 Congregation Emeth therefore provides programs for members from five years old and on. We also encourage our students to participate in summer camps, day camps, and camp weekends. 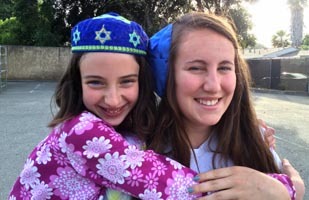 These programs provide opportunities for the students to experience a wholly Jewish environment and schedule. or contact Rabbi Israel (our Educational Coordinator) at rabbi@emeth.net or our education committee education@emeth.net. For information about our adult education programming, contact our adult education chair adulted@emeth.net. Children from Kindergarten through grade 2 learn the basics of Judaism. Youngsters in grade 3 through bar/bat mitzvah learn skills for participating in a Jewish community. Youngsters obtain the tools to be active practitioners of Judaism and learn sufficient skills to master prayerbook Hebrew. 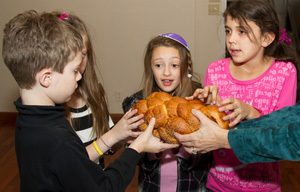 Held twice a month on Fridays, these Erev Shabbat services are also part of the Beit Sefer program for students in grade 3 through bar/bat mitzvah. Students participate in leading the service, and Rabbi Israel engages all participants—adults and children—in learning the meaning of the prayers and the Torah reading of the week. A sweet oneg follows each “Shabbat Short ‘n Sweet” service. The year before bar/bat mitzvah, students enrolled in Emeth’s Beit Sefer receive instruction specifically geared to becoming bar/bat mitzvah. This includes increasing their prayer base, strengthening their ability to lead a Shabbat morning service, and finding their place in the larger community. This is our teen youth group – Students in grades 8–12 meet three times a month to learn Jewish ethics and values. They also have opportunities to socialize with one another and the Rabbi and periodically with teens from other temples. Following bar/bat mitzvah, our students have the opportunity to become part of the education staff as student teachers, gaining new responsibility and acting as role models for the younger students. Youth enrolled in Emet Dor Kef at the end of grade 10, 11, or 12 may participate in a confirmation ceremony after a program of study with Rabbi Israel. 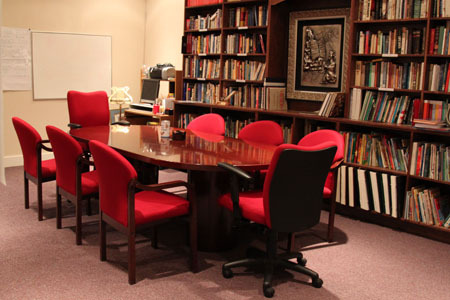 Jewish resources appropriate for all ages abound in Emeth’s library, adjacent to the sanctuary.